Guided by Voices is a band that I didn’t start listening to until about two years ago. Since then, they have become one of my top 5 most listened to artists. Hearing of a new LP to be released on January 16, 2012 had me revved up for two reasons: 1) frontman Robert Pollard had officially disbanded Guided by Voices in 2004, and 2) the new LP, Let’s Go Eat the Factory, was to include the most celebrated GBV roster of Robert Pollard, Tobin Sprout, Greg Demos, Mitch Mitchell and Kevin Fennell who hadn’t played or recorded together since 1996 when Pollard reportedly fired the rest of his bandmates after a falling out with Sprout. Pollard replaced the classic lineup with Cleveland garage outfit Cobra Verde, and although a number of the records post Under the Bushes Under the Stars are very listenable, they were never able to come close to their mid-90’s brain backpacks like Bee Thousand and Alien Lanes. 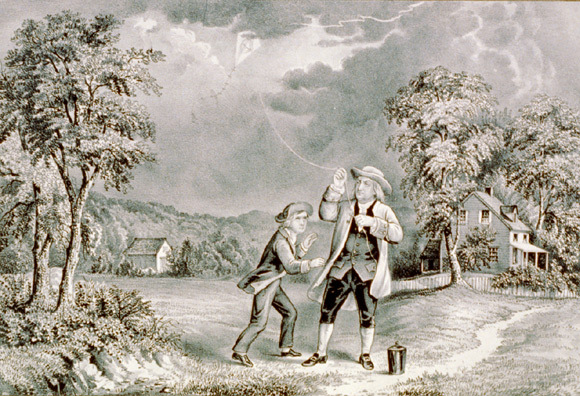 Above: Benjamin Franklin and his great kite experiment. We can thank Franklin in part for the electric guitar. I have since learned “Beer is living proof that God loves us and wants us to be happy,” has been falsely attributed to Franklin thanks to ushistory.org . Bummer. I’m not going to tell GBV since their best output was fueled by beer. When I heard of Let’s Go Eat the Factory‘s pending release, I was chanting “G B V!” in my head like the beginning of Propeller‘s “Over the Neptune.” The difference between Let’s Go… and Guided by Voices’ best work is the amount of average tracks in between great tracks; it feels a bit staggered at times. I’ll give GBV a pass on this one as long as their cancelling tour dates in 2012 means getting their asses back into the studio and getting comfortable (i.e. not breaking up again). Let’s Go Eat the Factory doesn’t disappoint, it just isn’t the record that I got myself all hot and bothered for. 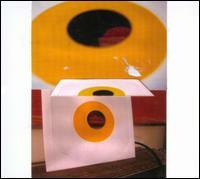 Here’s the single that they played live on David Letterman on January 3rd.